The Bear & The Picture Camera is a new interactive app for kids that integrates drawing and reading into one storytelling experience. Using the idea of an instant camera, users are asked to draw objects or people that the main story character takes photos of, engaging them creatively and providing a seamless link between the story and the activity. The Bear & The Picture Camera was designed as an interactive children’s book and educational tool designed to help children with their reading comprehension by engaging them creatively through the use of simple cognitive exercises and drawing. 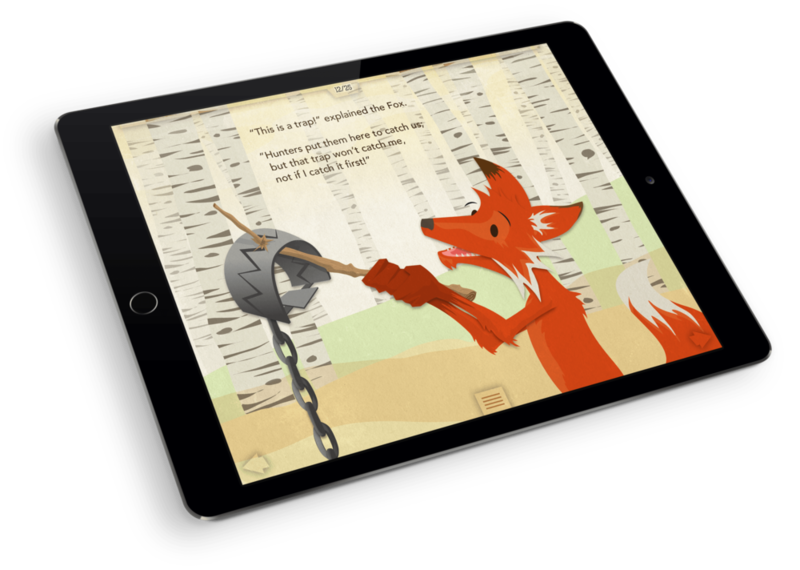 This book was designed to be a touch-based tablet application that invites the user to interact with scenes, solve puzzles, and draw characters in order to advance the story. The goal of this application was to increase understanding and reading skills in children through creative, tactile exercises and interactivity. This project was created for my MFA thesis in web design and new media at AAU. 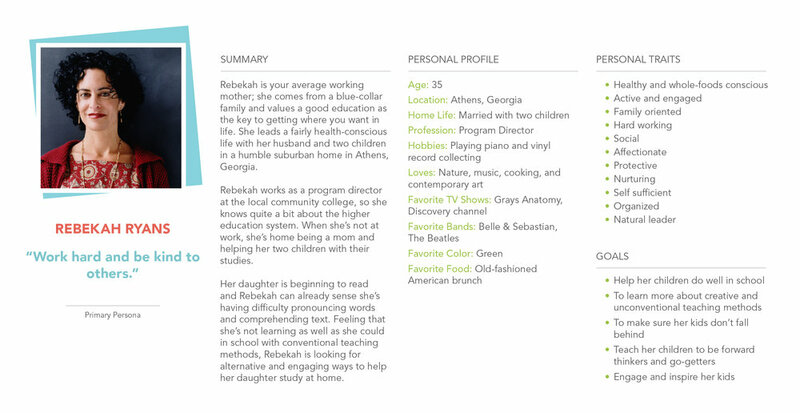 As part of my research I conducted teacher, parent, and child surveys; developed user personas; downloaded, played with, read, and documented a handful of drawing and reading applications; and documented a wide range of app features and potential solutions based on stakeholders, scenarios, and user needs gathered from my research. For a more in-depth look, contact me for a copy of my thesis book. 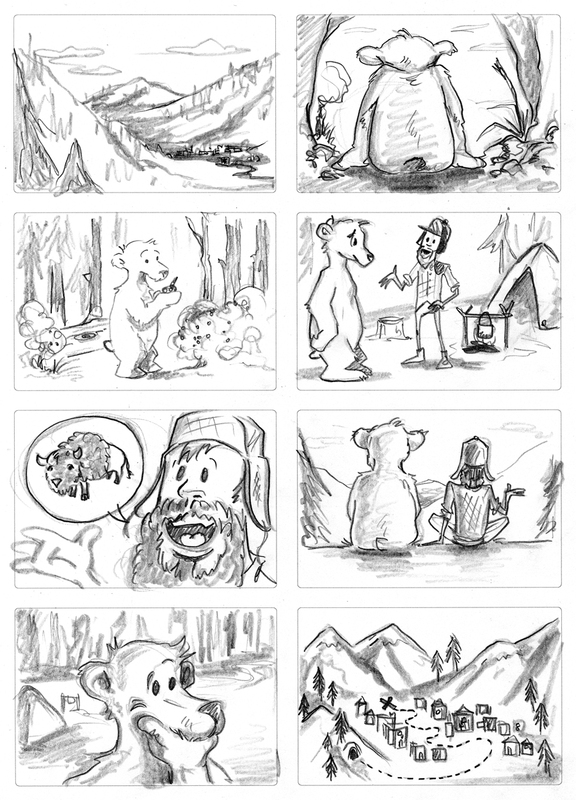 While the system designed for this application can facilitate many different stories, this particular one follows the adventures of a lonely bear as he discovers the world through the use of an old instant camera that he acquires through a chance encounter with a friendly hunter and the local pawn shop. He begins a quest to meet and document his forest friends and slowly disappearing environment. Along the way, he meets various characters who increase his understanding of the world around him and teach him a set of valuable lessons. The story, sketches, character development, motion graphics, and final artwork were all done by yours truly. Artistic Mood Board for The Bear & The Picture Camera. The art style progession, from sketch to final artwork.